Meet Ureshiitori. She is the newest edition to our family. I made another super amazing plushtastic trade with my friends at Dolls for Friends Jill and Erin. They are a super hero plush making team. Married with 3 busy children they have their hands full. Full of fun and love. 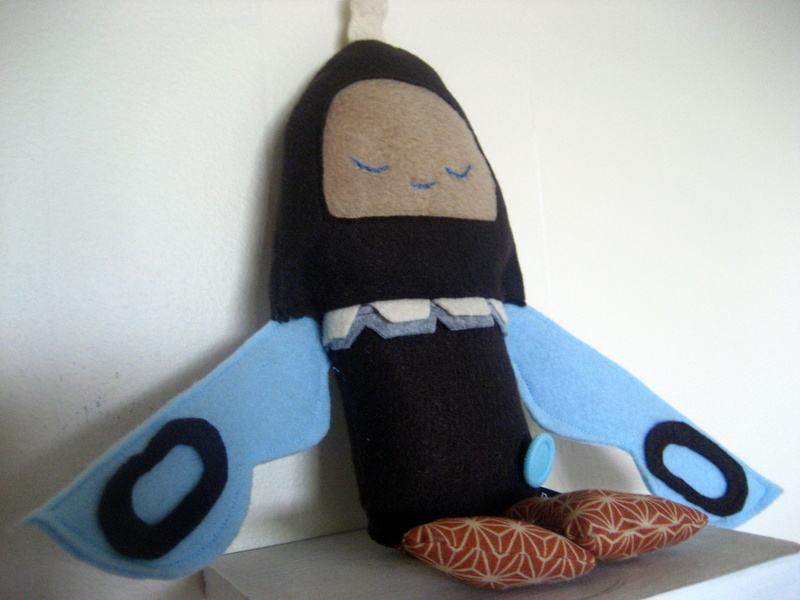 Dolls for Friends use mainly reclaimed and recycled fabrics which they use to create amazing creative funky creatures. Each piece has such great texture, they are works of art. I just love how each of their characters has its own story and very layered personality. I am very happy to be called a friend with one of their dolls. This one is my favorite http://www.etsy.com/view_listing.php?listing_id=11884034. Thanks so much for the link.. fabulous work Dolls for Friends!